Hobbies, crafts ads in Sydney. Thank you for visiting our free advertising website Hobbies, crafts, Sydney section. We provide high response free classifieds and free advertisement. Use our online free Hobbies, crafts classifieds placement system to find, list, offer Hobbies, crafts online! Craft Depot is Australia's biggest patchwork store. Operating since 1996, we have expanded our online fabric store to serve you better. Here you can get all your quilting needs, patchworks, fabrics, sewing machines, patterns, and many more all at affordable prices. We carry all the best brands such as Janome to give you the best shopping experience. This is a machine embroidery design for a patchwork pumpkin table runner with all the blocks made in the 5x7 6x10 8x12 or 9.5x14 hoop. There are 3 different blocks in this table runner (included the side borders and sashing) and they are then joined with the sewing machine. 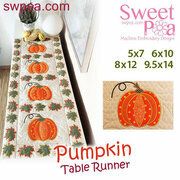 The full pattern for the table runner is included. At just hobbies we have a great range of racing drones. We are Sydney, Australia only store with a full range of 250 size racing quads in stock. We stock major brands like Lumenier, immersion rc and many more. We also have all the FPV accesoories needed to complete your FPV Racers. Here at Just Hobbies we specialise in a large range of Hobby items for land, air and sea. Want some free spray paint art lessons? It's a really fun way to learn to paint. You can use water based non-toxic spray cans today, so it's safe also! 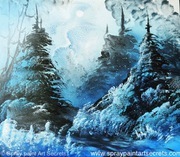 Visit www.SprayPaintArtSecrets.com and get a Free Video Tutorial and Materials list to help you get started. Come watch the spray painters work and download a free tutorial video. A boutique on-line card store constructing every card personally so yours is an original. New designs are regularly coming through and can create especially for your store. For a quote on wholesale pricing please phone 0458 741 982 today. Retail also available. PO Box 285 Narrabeen New South Wales 2101 Australia http://thecardcollection. Little Craft Scissors -3 Pairs for $20.00 FREE Postage! Emery 100mm (4’’) Embroidery Straight Blade Scissors with a Clip - On Protective Cap. 3 Pairs for $20.00 - FREE Post Australia Wide! These Sharp Fine Pointed Tip give a close & precise cut every time. Comfortable larger Handle allows ease of use for both right & left handers with the added comfort. 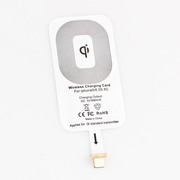 Wireless Qi Charger Charging Receiver for Apple iPhone 5 5C 5S http://www.newnow.com/products/wireless-qi-charger-charging-receiver-for-apple-iphone-5-5c-5s.html US$15.99 Note: 1. If you only choose the option of receiver, you will receive the receiver only! 2. If you didn't have any Charger Pad, the Receiver cannot work. RC Hobbies is one of the best leading online shopping portal for soft toys. We offer different products like as hobby shop, RC airplanes, radio control planes, RC airplane, RC helicopters Brisbane etc. To get RC helicopters in Brisbane, just stay with us. https://rchobbies.com.au. All our hand-made decorations are made from 100% real and natural flowers dried, preserved, and sealed in glass using a special drying technique that preserves not only colour and shape, but also the elegance and beauty of the flower keeping their blooming allure for 3-5 years! More info: http://www. Made from young coconut shell, Bali carving, diameter about 25 cm, height about 27 cm, whole sale and retail, 700 pcs production capacity/month..
Made from sea shell material, size around 20 cm diameter, use for ashtray, Balinese working, production capacity is 5000 pcs/month, made to order..
Made from sea shell material, size around 12 cm length, use for sugar or ice cream spoon, Balinese working, production capacity is 5000 pcs/month, made to order..
Made from sea shell material, size around 15 cm diameter, use for accessories box, Balinese working, production capacity is 5000 pcs/month, made to order..
Made from sea shell material, size around 30 cm length, use for food spoon, Balinese working, production capacity is 5000 pcs/month, made to order..
Made from sea shell material, size around 25 cm length, use forfood spoon, Balinese working, production capacity is 5000 pcs/month, made to order..
Made from sea shell material, size around 10 cm length, use for ice cream spoon or sugar spoon, Balinese working, production capacity is 5000 pcs/month, made to order..
Made from old root of hibiscus wood, size around 40 cm length.it carved by me, the grand son of MrM Wayan Wetja's gallery. COME AND SEE AT MR M WAYAN WETJA'S GALLERRY, WOOD AND ELEPHANT TUSK SCULPTURES. HIS NAME IS MR M WAYAN WETJA'S, MY GRAND FATHER LEAVED THE WORLD ON SEPTEMBER 18TH 2009(1926-2009)HE HAS BEEN CARVING SINCE HE WAS 14 YEARS OLD AROUND IN 1940. Deyan is a name of known wedding Photographer Sydney specializes in the wedding photography and portrait photography in various cities of Australia like Sydney, NSW, Noosa, Italy and Hong Kong. Deyan as a wedding photographer has experienced not only traditional Australian weddings photography Sydney, but also Chinese style ceremonies, Traditional Japanese weddings, Greek weddings, Jewish weddings and Indian style weddings. Permaset Aqua Fabric Printing Colour is the perfect solution to create your textile artwork. 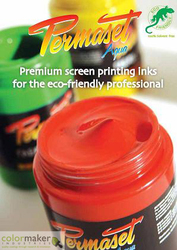 A complete range of water-based inks including metallic and fluorescent colours ensures your creativity is unlimited. Water-based inks do not contain PVC or phthalates, are much more environmentally friendly and equipment can be easily cleaned up with water. If you are looking for the best brand new laptop battery at the most preferred price, you have come to the right place. We provide the highest quality Hp dv6000 laptop battery at the lowest price with the highest level of service, all in a secure and convenient platform. Our product range include replacement computer batteries for most major brands, including Dell, Apple, Compaq/HP, IBM/Lenovo, Fujitsu, Gateway, Sony and Toshiba. Freagra Limited offer for sale the following Traxxas and HPI RC product in our promotional sales. CONTACT US THROUGH OUR EMAIL: inquiries-n-sales@hotmail.com Traxxas E-Revo Brushless Monster Truck RTR with 2x Batteries TRA5608...$370USD Traxxas E-Maxx Castle Brushless Monster Truck RTR with 2. RN Artworks Hand painted original art - Newly opened website- Where light meets colour form and shape - Exciting and Modern. Detailed, bright, beautiful and stunning. 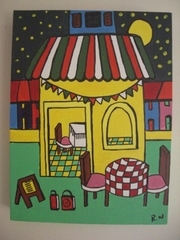 Colourful, eye catching, creative and vibrant paintings up for sale by a young Sydney Artist. Small and creative, Perfect for places which needs a splash of colour. Come back to control line model flying with Sydney's most active club. Located at St Ives Showground, we have three beautiful grass circles. Flying every Saturday from 9 am. All the help you need freely available. For more info call John on 9997 3434..
Australia free ads for Hobbies, crafts, Sydney, Hobbies, crafts free ads Sydney, Hobbies, crafts for sale Sydney, Hobbies, crafts to buy in Sydney. Find on this page free classifieds for Hobbies, crafts in Sydney. This listing includes classifieds for sale and to buy in Sydney. FREEADSAustralia Sydney offers you a platform to post free advertisements or classifieds for Hobbies, crafts in Sydney. FREEADSAustralia helps you search, find buy, sell, rent or hire in various categories like apartments, goods for sale, local services, cars , jobs and many more in Sydney. If you posted an advertisement in category Hobbies, crafts of FREEADSAustralia Sydney before please use Edit my ads button to change or cancel your ad. Hobbies, crafts Sydney ads Sydney, Hobbies, crafts classifieds Sydney, Hobbies, crafts free ads Sydney, ads for sale Sydney, ads to buy Sydney, FREEADSAustralia. Find here ads for sale, to buy and rent in Sydney. Goods for sale in Sydney, vehicles for sale in Sydney, Sydney real estate for sale, Sydney property for sale, property for rent in Sydney, business ads in Sydney, Sydney business classifieds, services in Sydney, Sydney services ads, jobs in Sydney, pets for sale in Sydney, Sydney dating, Sydney cars for sale.